The other element in this complex equation comes from the East. Specifically, from China, where they also tie dogs with sausages. The Shanghai Shenhua paid Carlos Tevez 38 million euros per season just less than, as the player himself has recently recognized, by rescinding his contract with the Chinese club, for being “on vacation”. The case of El Apache is not isolated. 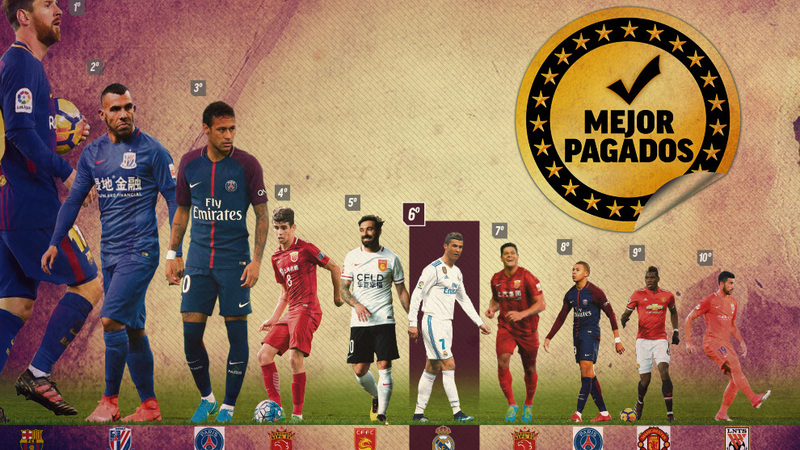 Two other players, the Brazilian Oscar and the Argentine Lavezzi, surpass in the Asian giant the annual gains of Cristiano, with 24 and 23 million euros, respectively. And Hulk (20 kilos per year) is on his heels.Like, back in Europe, a player recently arrived at the elite, Kylian Mbappé, who gains 18 kilos a year at PSG. All of them make up the ranking that angers Cristiano, and that can make the Portuguese adventure in Madrid finish before time.